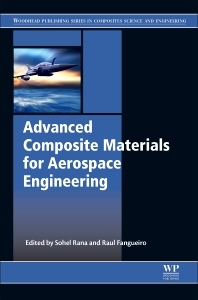 R&D managers and engineers in aerospace; researchers working in industry, academia and government research agencies developing composite materials for aerospace structures; materials scientists and engineers currently working in the field or students doing selected courses on advanced composite or aerospace materials. Dr. Sohel Rana is currently Scientific Head at the Fibrous Materials Research Group at the University of Minho, Portugal. He has edited 3 books and authored 1 book and over 90 publications in various refereed journals and conference proceedings. Prof. Raul Fangueiro is currently Professor and researcher in the School of Engineering at the University of Minho, Head of the Fibrous Materials Research Group and Director of the Fibrenamics International Plataform. He has more than 110 published papers in international scientific journals, 320 conference publications, 36 books and 14 patents.